Or Roncevaux in French. This is the starting point for my Camino. Here at the registration office at the collegiate church to register for the camino and get my credencial. 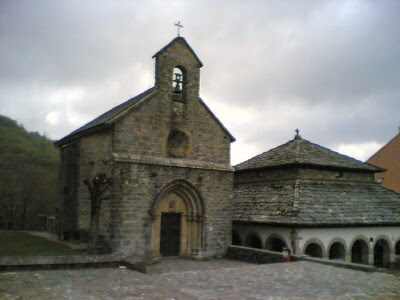 At the foothills of the Pyrenees, Roncesvalles is famous in history for the defeat of Charlemagne and the death of Roland in 778. In the battle of Roncevaux Pass, the whole army of Charlemagne was destroyed by Basque tribes.